aside my bubble caravan(to be found)I am hunting!!! I'm loving the vintage already and I can't wait for more! This is right up my ally! Although I look around my house and think I've been lovin' the vintage just that bit too much. But na, I can't stop lovin' it!!!! Congrats on the new blog Michelle. Can I have one ticket to join you on your journey please??..!! Good luck on your vintage journey Michelle! Sounds like a great plan. Looking forward to seeing it unfold! Thanks for sharing the vintage , good on you . 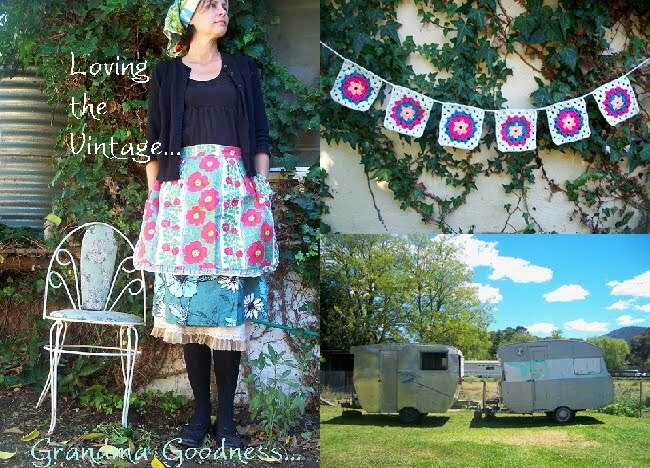 can't wait to follow on the vintage loving journey with you Michelle! Grandma,s love cushion sets my heart spinning.